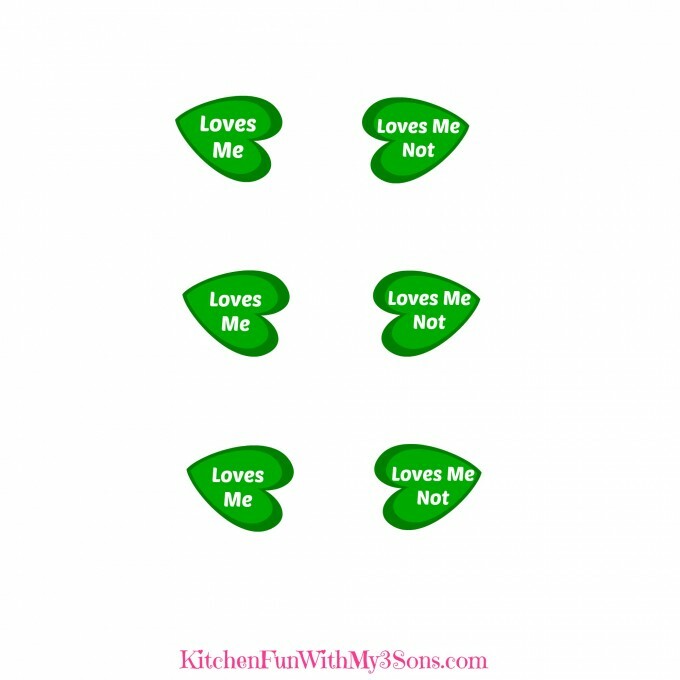 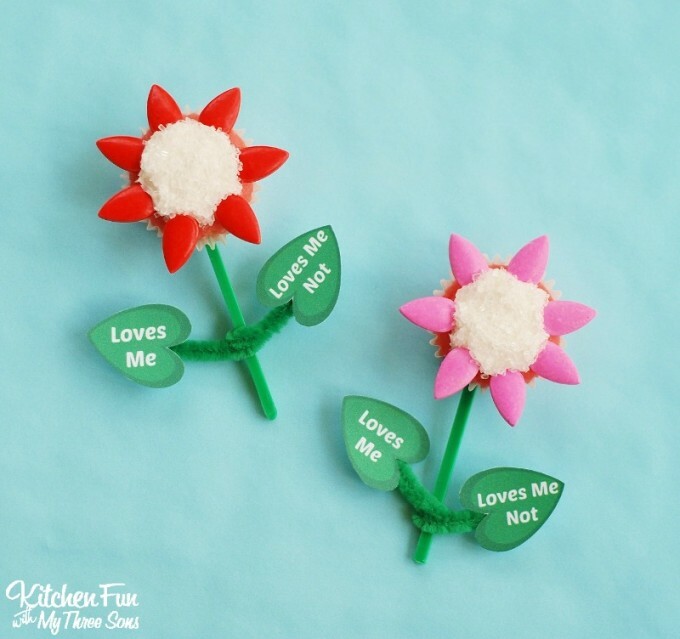 January 28, 2016 // Comments Off on Valentine Flower Cupcakes – Loves Me, Loves Me Not with a Free Printable! 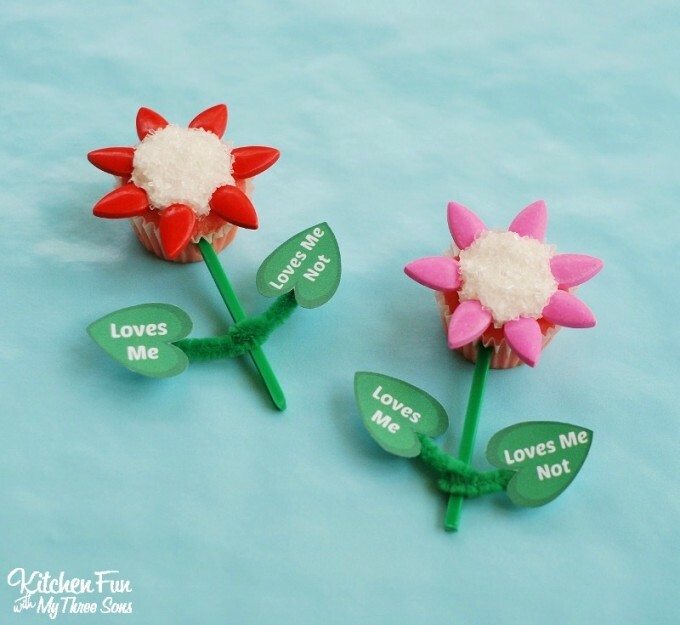 Your kids are going to just love these Valentine Flower Cupcakes and we have included a Loves Me, Loves Me Not Free Printable! 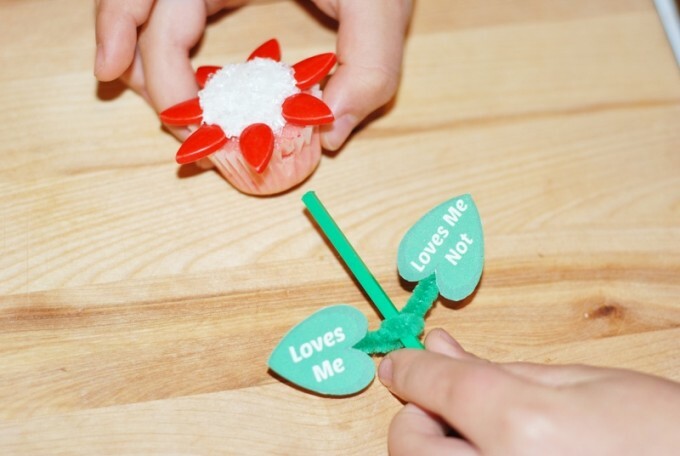 They will love picking off the petals to find out if they end at Loves me or Loves me Not, but don’t worry…we added enough to always end at Loves me! 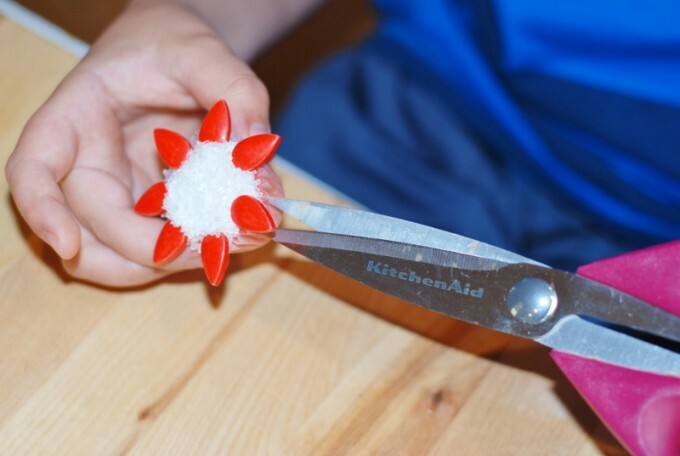 Add you feather/petal candies around the sides making sure you use 7 of them. 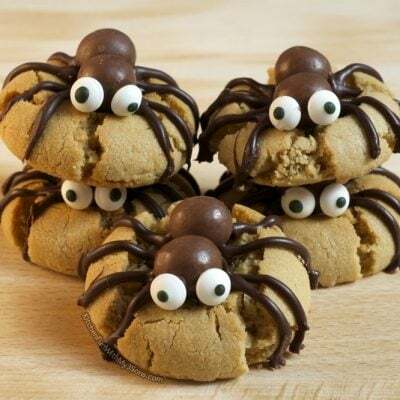 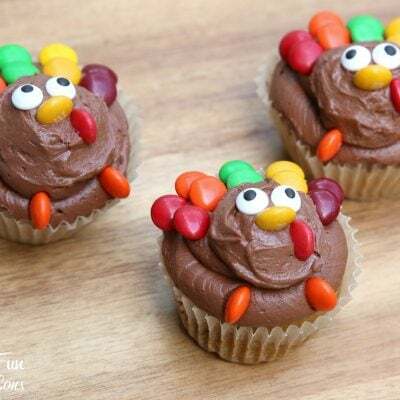 You can get these candy at any craft store or Walmart…. 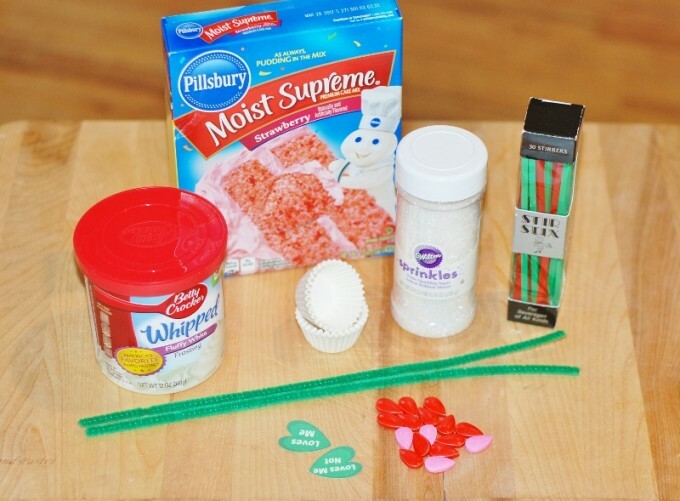 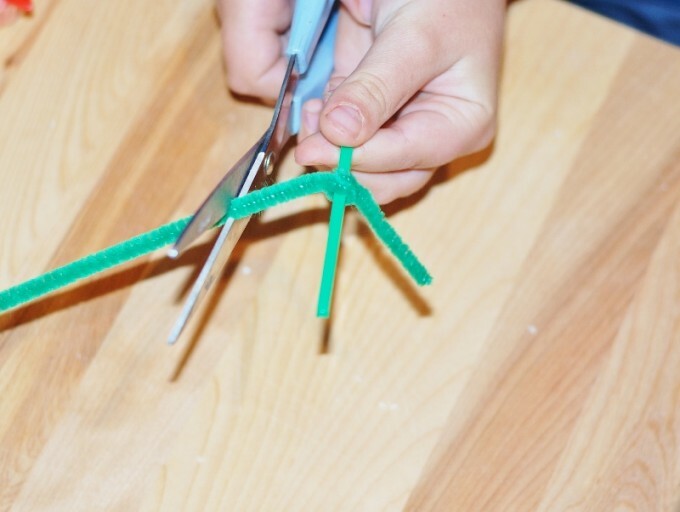 Wrap the green pipe cleaner around the stir stick half & then cut the end to look like stems…. 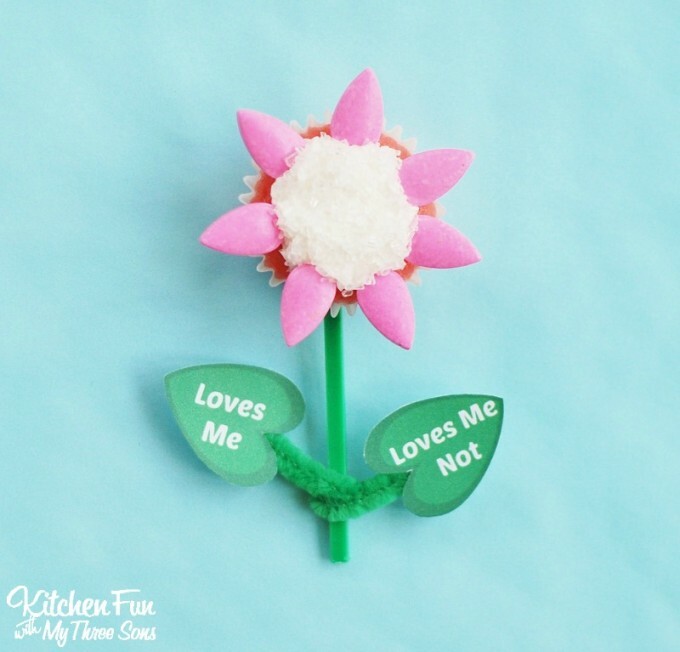 Now you want to click, save, & print our Loves Me, Loves Me Not Free Printable! 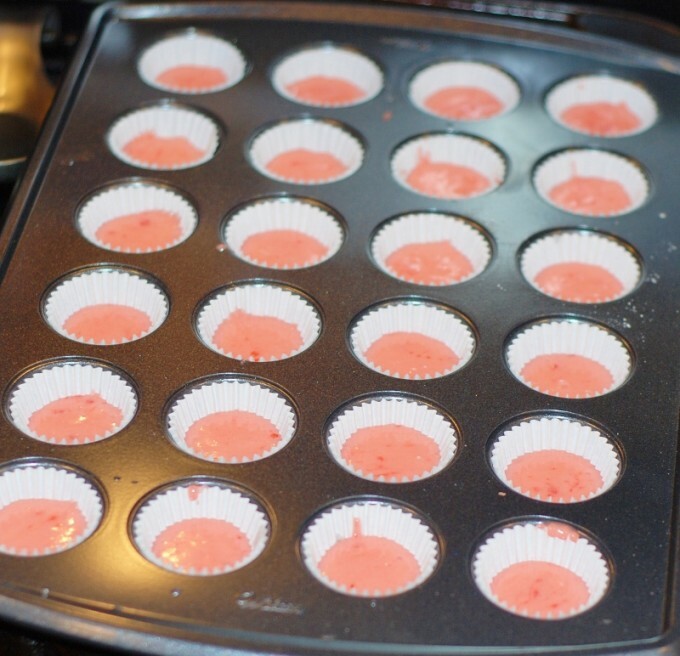 Now you can press your stick in the whole that you cut out of the liner…. 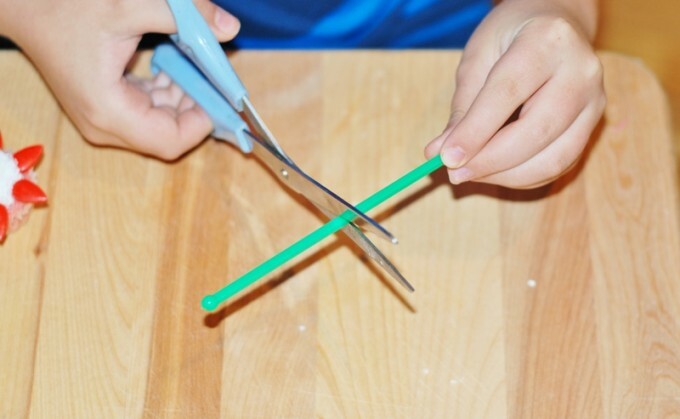 Wasn’t that so simple?! 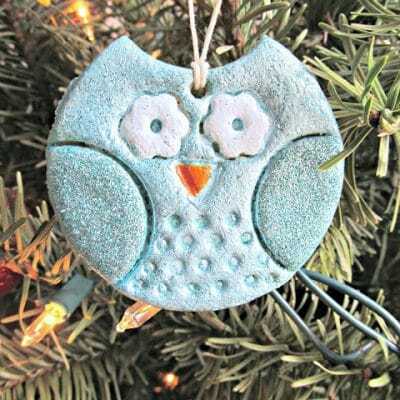 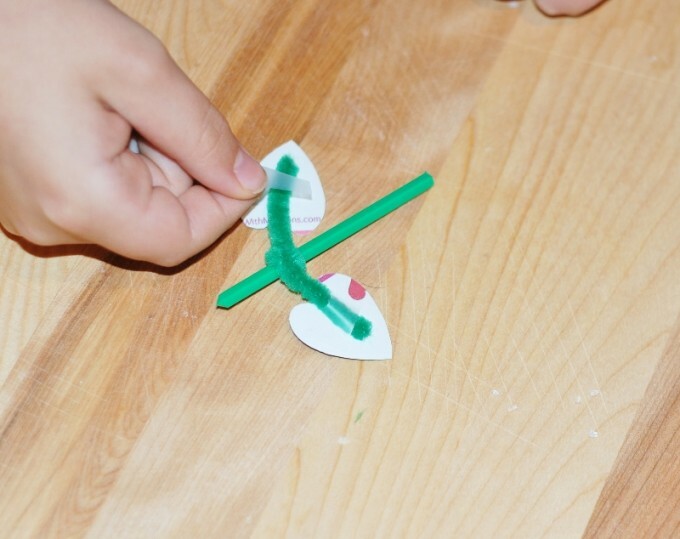 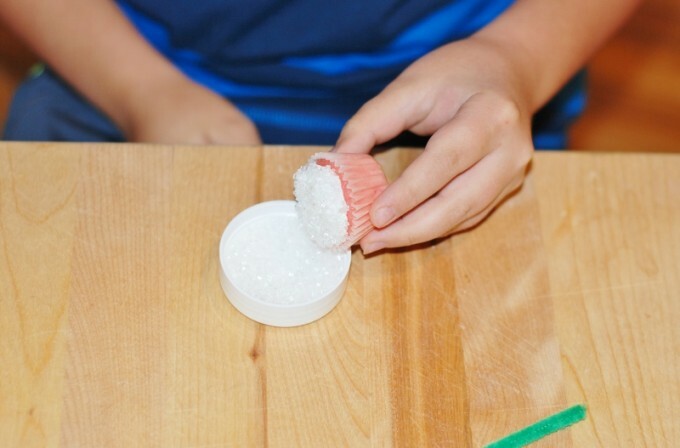 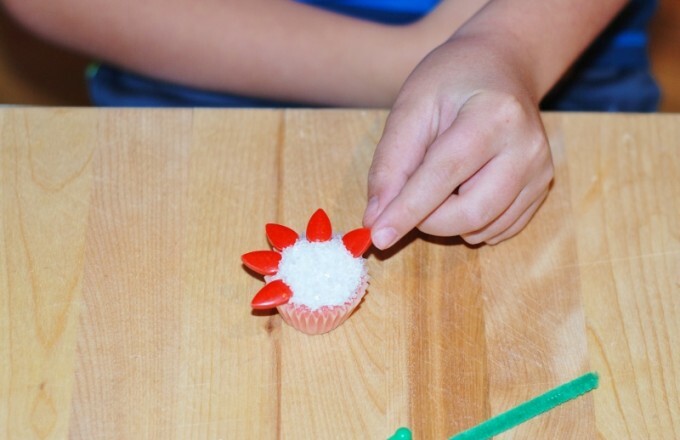 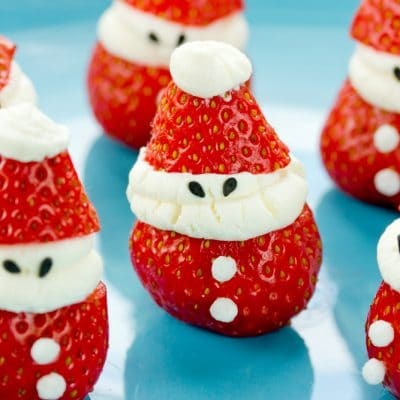 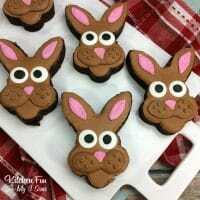 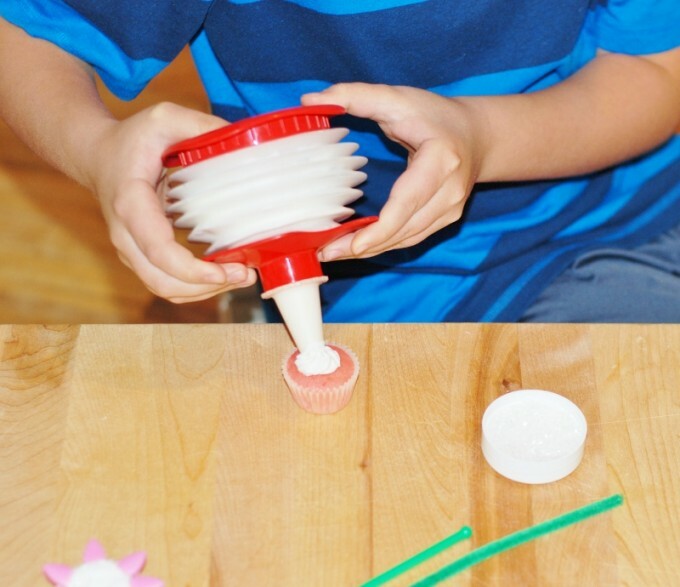 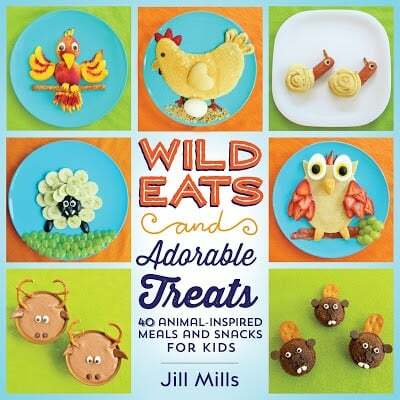 These are easy enough for the kids to create all by themselves! 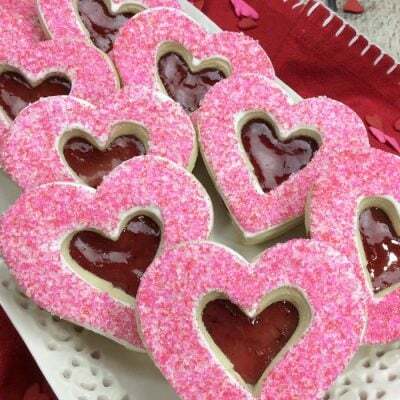 I teamed up with some other very talented bloggers that created this group of Valentine Treats! 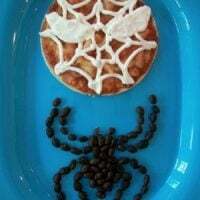 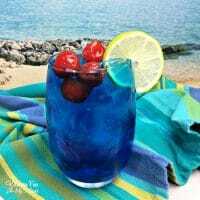 You definitely want to check out these fantastic ideas! 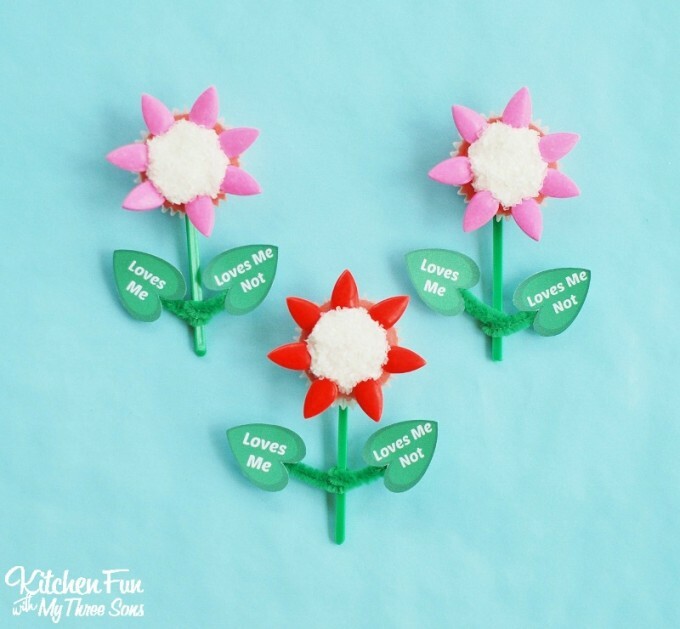 If you like our Valentine Flower Cupcakes, make sure to check out all of our other fun Valentine’s Day fun food ideas HERE!